I know I’m going to be saying this time and time again as blog about every big and little aspect of our wedding, but I really can’t believe I get to write and share this post! I wanted to give you a peek into what our wedding’s floral design looked like before I share images of our absolutely PERFECT wedding and the floral components. From the moment we got engaged and started planning our wedding (well, okay, perhaps a few months before that happended…), I knew that I wanted to hire my dear friend Alana from Serendipity Designs to be our florist. 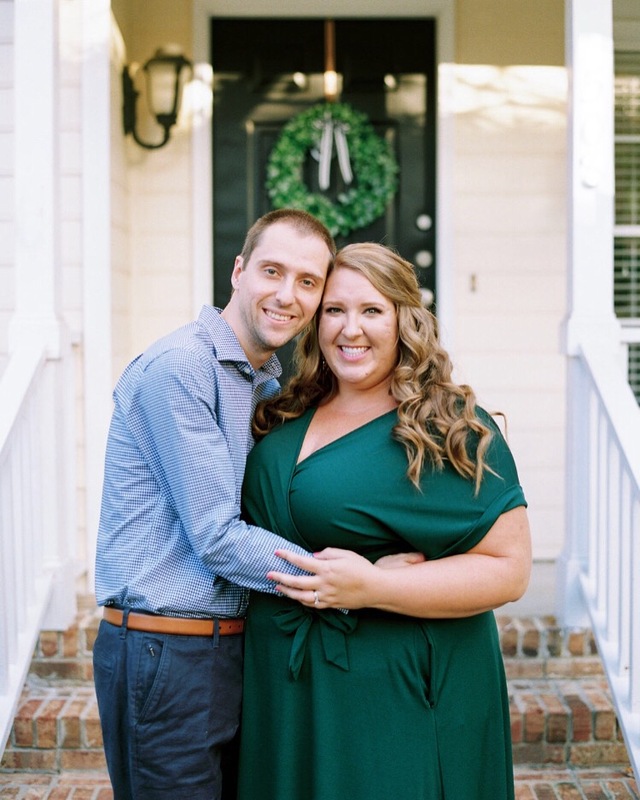 Luckily enough for us, me being a wedding planner in Raleigh is quite the perk in knowing and loving so many wonderfully talented vendors in the area, so it really wasn’t difficult to decide who to use for various aspects of our wedding. Alana is all-around fabulous, and she is a great personal friend, too! Her floral designs (you can see even more on her Instagram account) are always spectacular, her design eye is impeccable, her style is perfectly aligned with mine, I know and trust her wholeheartedly, and I knew she would design and create blooms even more beautiful than I could even imagine! And boy did she deliver!!! I will, in due time, share every single stunning detail that she created for our wedding day, and I’ll say this: the bouquet she made for me is hand’s down the most perfect, gorgeous, “me” bouquet I have EVER seen! Now onto the design! The design board, above, was the general floral design inspiration for mine and Rob’s wedding, with the key note to add a little more pop of bright color. After all, I love lots of whites and soft colors but with definite pops of color! Right before I went off to my first design meeting with Alana, I remembered that I hadn’t asked Rob for his input whatsoever on the design and flowers for our wedding, something I clearly have (very!) strong opinions and ideas about. I stopped in my tracks, remembering that this was OUR wedding! I asked Rob if he had any opinions, ideas, or suggestions about the colors or flowers for our wedding, and he looked at me, laughed a little, and said “Babe, I’m a dude. You’re the designer and stylist; you should do whatever you want!” Well, okay then! Ha – I love this. Rob had wonderful opinions and ideas about other aspects of wedding planning, mainly the food, cake, and music, but I love that he trusted me to make design and flower decisions that would reflect us as a couple but that would also simply make me happy. Every single bloom in the floral and bouquet designs was chosen with great care and there was so much meaning behind every flower, which I’ll tell you all about when I share photos from our wedding. I’ve deeply loved flowers my entire life, and I have so many special memories tied to various flowers and specific blooms that remind me of special people in my life. Such great care and intention went into the creation of our wedding’s floral design, and seeing it all come to life (literally!) brought tears to my eyes. We were so absolutely thrilled with every element Alana designed and created for our wedding; it was truly breathtaking. I’m still giddy thinking about it all! 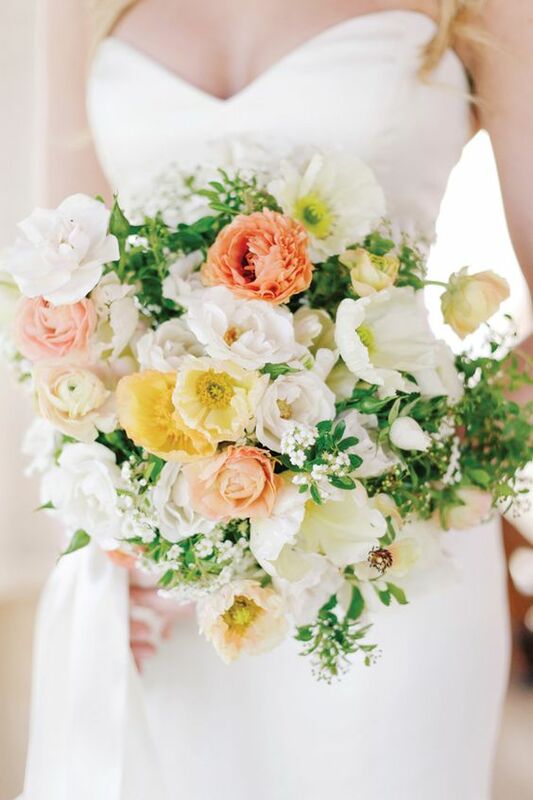 Now tell me: what what your bridal bouquet like, or what do you envision it looking like? 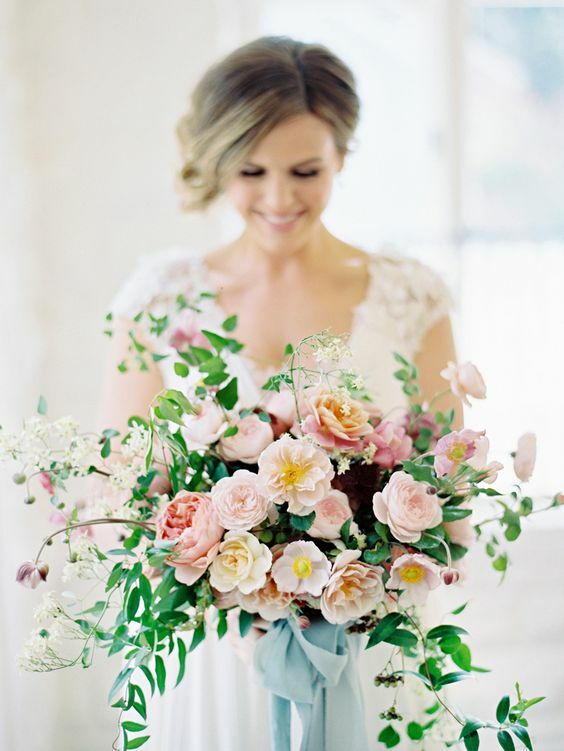 I love knowing that my bouquet was so fabulously representative of “me” through and through!